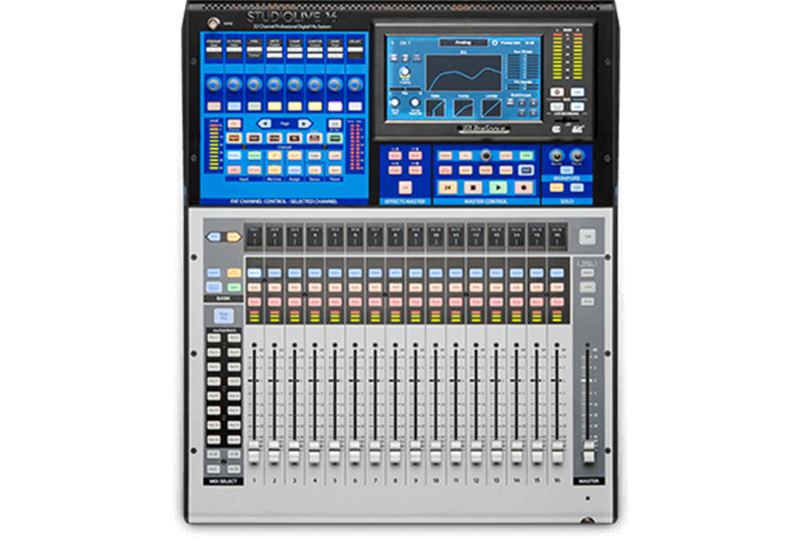 StudioLive 16 III Digital Mixing Redefined. Again. – Modular Display Inc.
StudioLive 16 III Digital Mixing Redefined. Again. The PreSonus StudioLive 16 gives you three efficient options for multitrack recording. A built-in SD card recorder allows you to record all inputs simultaneously, and you can also play back from the SD card to do virtual soundchecks without a computer. You can also connect to a computer via USB for 38 channels of recording and playback. And the StudioLive 16 supports AVB over Ethernet too, allowing for 55 channels of recording and playback. At Sweetwater we know it can be frustrating trying to use the same mixer for many different tasks. That's why we're excited about the 16 Flex Mixes offered on the PreSonus StudioLive 16. Flex Mixes can be set up as Aux mixes, Subgroups, or Matrix mixes, depending on what your show demands. Need a ton of different monitor mixes for a large group of musicians? No problem, you can create up to 16 aux sends if you need to. Same with Subgroups and Matrix mixes — perfect for theater productions and multi-zone venues, respectively. 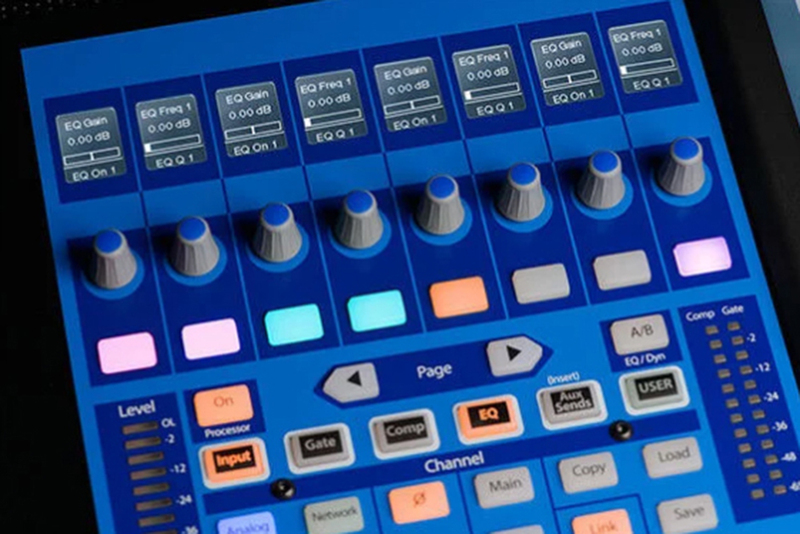 Basically, the StudioLive 16's Flex Mixes allow you to adapt your mixer to the mixing task at hand, instead of adapting your workflow to the limitations of your mixer. Simply put, the Class A XMAX preamps onboard the StudioLive 16 sound like they belong in the studio. Their high headroom and low noise floor deliver extremely clean and clear sound you simply wouldn't expect from a live console. And mic preamp settings are fully recallable, which is a huge time saver when you mix or record the same band or show on a regular basis. 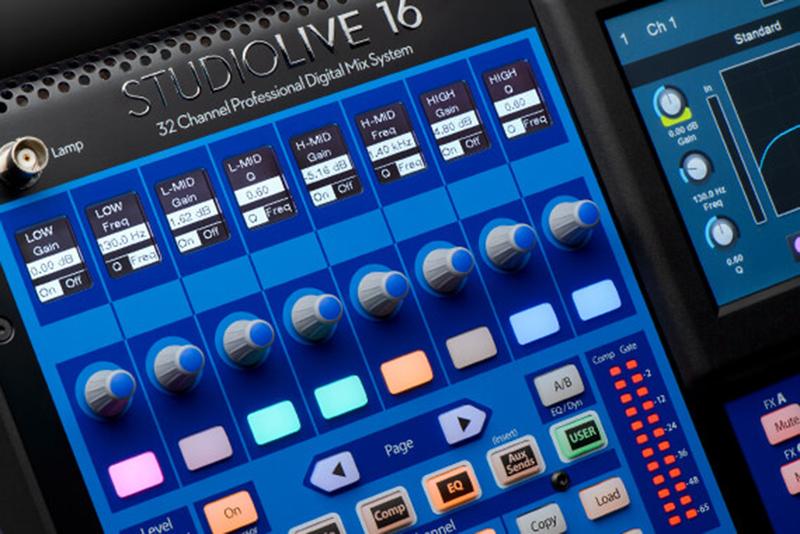 The StudioLive series of consoles has always been known for outstanding effects and processing capabilities, and the StudioLive 16 takes it even further. Four internal effects buses allow you to combine reverbs, delays and other effects for processing monitor mixes, groups, or individual channels. You can use effects as inserts on up to four channels too, and on top of that, Fat Channel processing offers vintage EQ and compressor models on every channel. PreSonus Studio One 3 Professional raises the bar. Sporting an elegant single-window workspace with robust drag-and-drop functionality and multi-touch support, version 3 of this powerhouse DAW gives you more smart features aimed at making you a total creative beast. These include an on-the-fly Arranger Track with Scratch Pads that let you freely experiment with musical or sonic ideas; an upgraded browser that lets you find, preview, and drag and drop tempo-matched backing tracks, samples, effects, instruments, presets, and more; and the Mai Tai analog modeling polysynth with character morph, mod matrix, and zero-feedback filters. Networking isn’t the future of professional audio systems; it’s here now. StudioLive 16 mixers come equipped with an AVB Ethernet connection that enables you to network multiple StudioLive 16 mixers and compatible computers and stream up to 55 channels of audio to and from a Mac or Windows PC. You also get 38x38 recording via USB 2.0, giving you a choice of computer recording methods. Each channel can independently access its analog input or its dedicated digital return from your computer. And recording is simple and easy: Just launch the included, preconfigured Capturesoftware for one-click recording of all channel inputs and your main mix. Or record with the included Studio One Artist DAW—or with any recording software that supports ASIO or Core Audio.